A while back, the Instagram gods deemed that it was acceptable for us to publish rectangular images in our feeds. And it was a good thing... but a feature that I will probably never use. There's something evenly perfect about the square format. The world has both width and height. It seems fairer. I like the way my IG images fill up the entire space. I feel like I'm looking at the real world. People use Instagram in many differ ways. For me, it's my visual diary. Here'e what I saw, felt, thought about, or was surprised by today. I'm going to fill up the whole box. I don't want to waste a pixel of space. I don't want to miss a moment of life. Some of my favorite moments as a photographer are when I tap the Share button and see today's slice of life fill up my iPhone screen. Square is cool. And Instagram is the one place where squares rule. Imagine plugging a set of great sounding earbuds into your iPhone, tapping the record button, and instantly capturing crystal clear 3D audio. That's exactly what Lifelike 3D Audio earbuds by Scenes can do. The Lifelike headset looks like regular earbuds, and it doesn't take up any more room in your camera bag. For listening purposes, they are terrific... crisp and clear. They would be a great music listening device if nothing else. But these earbuds go well beyond simply enjoying your favorite song. When you plug them into your iPhone via the Lightning port, they are also a sophisticated recording device. Each microphone is positioned naturally outside each ear, capable of recording the world as it happens all around you. Lifelike 3D earphones come with a Digital Box built-in best-in-class high fidelity processor, which is equipped with a MFi-certified lightning connector to integrate seamlessly with all compatible iOS devices. Use the Lightning port to your iPhone, open the video app, and then you will have a realistic, immersive 3D video. After sharing, use any headphones to replay, audiences will feel like they are there. That's right, once the recording is captured, anyone can experience your 3D audio with their standard earbuds. No special equipment is required. Here's a movie that I made at the Santa Monica Metro Station using the Camera app on my iPhone and the Lifelike 3D earphones. To create this movie, I recorded the scene with the iPhone set to standard video mode. I was wearing the Lifelike earphones that were plugged into my handset. I tapped the record button. Once the footage was captured, the video with the 3D audio was automatically uploaded to my Photos for macOS app. There, I created a slideshow project where I added a few stills, transitions, and background music. That was it. High quality 3D audio with the mere tap of the record button. You can learn all of the details about the Lifelike 3D earphones at their Indiegogo page. The early bird prices are as low as $79. They are projected to sell for $149 on the open market. Having this high quality audio dramatically changes even the simplest videos. And to be able to do so without any extra work is just amazing. The Santa Monica Metro Station connects travelers to the greater Los Angeles area. It's an attractive, well-lit area that's perfect for night photography. So I mounted my Olympus 17mm f/1.8 and went searching for those who commute after dark. A peek between cars. Olympus OM-D E-M10 Mark II, 17mm f/1.8 lens at f/4, ISO 2500, 1/15th. (Out of camera image.) Photo by Derrick Story. Getting a Ticket - Olympus OM-D E-M10 Mark II, 17mm f/1.8 lens at f/4, ISO 2500, 1/40th. (Out of camera image.) Photo by Derrick Story. It's a great way to get an evening walk, and the images provide a completely different look than daytime travel photography. Will Aperture Run on macOS High Sierra? As we're getting closer to the release of Apple's macOS High Sierra, some diehard Aperture users are wondering if the latest operating system will support their favorite photo management app. The answer appears to be yes. As of beta version 6 of High Sierra, users are reporting good performance. The only nagging issue seems to be full screen mode. And one tester, Henrik Lorenzen, commented that he was able to fix that glitch with a clean install. 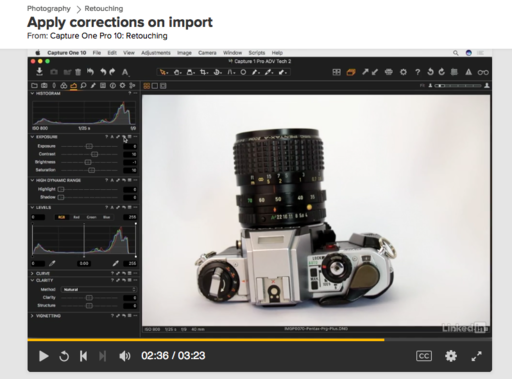 This is important not only for photographers who want to keep using Aperture full time, but also for those who have extensive Aperture archives and want to be able to tap them as needed (myself included). It's a relief knowing that I can plug my everyday laptop into the Drobo and open a library from 2014. On a related front, the Mac Observer is reporting on other compatible pro apps stating that Final Cut Pro X 10.3.4, Motion 5.3.2, Compressor 4.3.2, Logic Pro X 10.3.1, and MainStage 3.3 (or later) all will be compatible with High Sierra. If you're running earlier versions of any of these apps, don't upgrade your OS until you get things sorted out. There are two factors that allow photographers to be more fluid in their equipment choices. The first is a thriving online marketplace that enables us to easily sell gear. 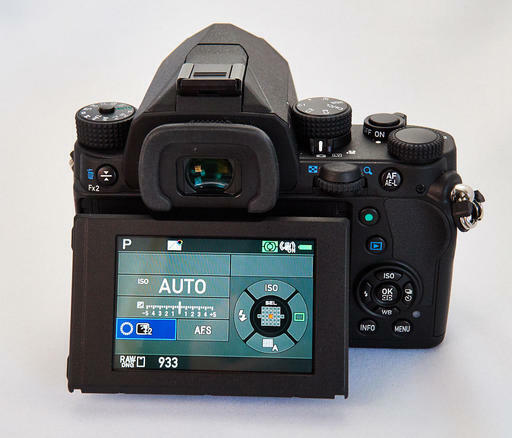 And the second is that digital cameras have a longer shelf life now that their technology is stabilizing. In my mind, these two factors give us the freedom to choose the gear that we really want instead of locking ourselves in to brands that are viewed as safe. To make this point, I'll tell you a story from yesterday. "When did you stop shooting Canon?" "A while back," I answered. "I wanted something different." "Well, don't invest too heavily in that system," he said. "All they care about these days is panorama devices." "I like this camera, though." I said. "I really enjoy shooting with it." For me, the KP works great. 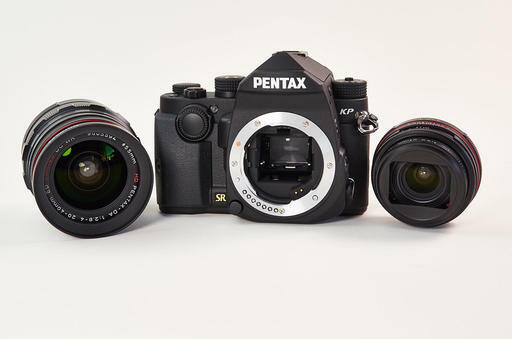 I have a large inventory of Pentax lenses from their SLR days that work great on the digital body. In fact, one of the key optics from yesterday's shoot was the Pentax-FA 35mm f/2.0 lens that I had bought on the used market for my ZX-5n. It's a wonderful prime that I use digitally as much as with film. In objective terms, the KP has sensor-based image stabilization, 24MPs, a great metering system, DNG RAW files, compact weather-resistant body, articulated LCD with live view, WiFi, and a lens library that goes back to the early 1980s. It works great for me. In fact I love it. 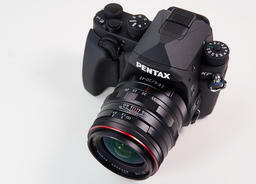 I know that Pentax is having its financial challenges. Olympus did a few years ago as well, and it didn't faze me a bit. My favorite camera in the world is the PEN-F. That was in development during their roughest of times. It's true, I don't know if either Pentax or Olympus is going to be here next year. For that matter, I don't know if I'm going to be around either. That's not how I base my decisions. For now, I'm assuming yes on all fronts. If all of this love changes for me, then I can sell the gear online, and make new decisions. Because the technology for digital cameras has stabilized, I can sell a body that is 3 or 4 years old and get a decent return on my investment. 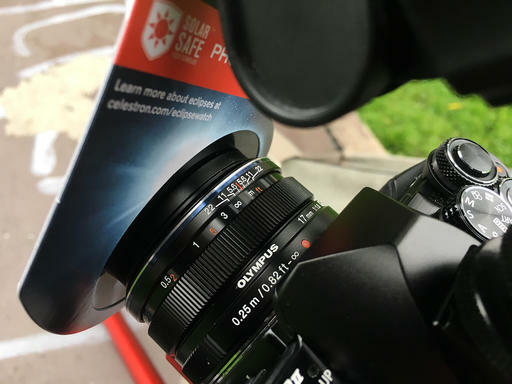 And lenses fare even better. So I'm not locked in to either Olympus or Pentax. And I'm loving my photography these days because I'm shooting with cameras that I want to use, not ones that are viewed as "safe." During yesterday's assignment, I used the Pentax HD 20-40mm zoom, Pentax-FA 35mm f/2.0, Pentax-DA 70mm f/2.4, and the Sigma 10-20mm f/3.5, got great images and had a blast. As an independent businessman, one of my mantras is: "do not make fear-based decisions." If I don't want to shoot with Canon, it doesn't matter how safe that company is. I want tools that excite me and energize my photography. And that's how I'm going to make my purchasing decisions.